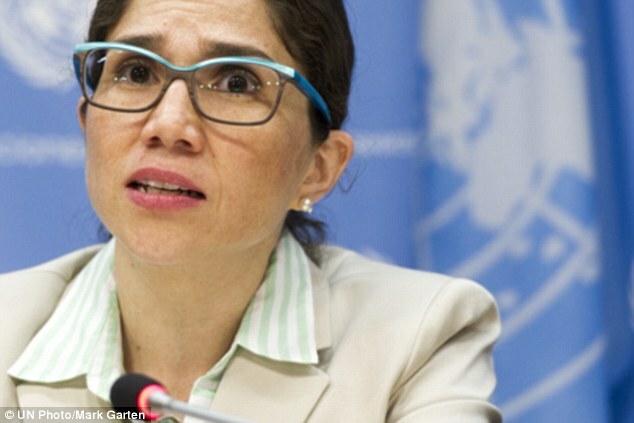 The UN Special Rapporteur on the rights of persons with disabilities, Catalina Devandas, has reported to the UN Human Rights Council that Moldova should close institutions which segregate persons with disabilities “once and for all”. UN Special Rapporteur on the rights of persons with disabilities, Catalina Devandas Aguilar. © UN. Ms Devandas’s findings reflect research that MDAC and the UN Partnership on the Rights of Persons with Disabilities (UNPRPD) published last year following a three-year investigation into the human rights of people with psychosocial and intellectual disabilities. Almost 2,500 children and adults with disabilities are forced to live in institutions that segregate them from the community. In the 425-bed institution in the town of Balti, residents live in substandard conditions and there have been allegations of mysterious deaths and violence against women including forced abortions. International scrutiny has led to the Government committing to a partial moratorium on new admissions, but where there are no other alternatives, institutionalisation is still allowed - a compromise that breaches human rights standards. There has been inadequate leadership and budgetary shifts towards community support services, resulting in many thousands of people still languishing in institutions. Like Ms Devandas, MDAC has similarly recommended to the government to shut down institutions, in line with its obligations under the UN Convention on the Rights of Persons with Disabilities (CRPD), and called for the roll out community services for all people with disabilities. Ms Devandas’ report also noted that Moldovan law continues strip around 4,000 people of their legal capacity. MDAC's research showed how courts place people with disabilities under guardianship where they have no rights. People under guardianship are not allowed to vote or seek justice. MDAC supports Ms. Devandas’ call to the Government to abolish guardianship and introduce supports to maximise people's autonomy while protecting them against exploitation, violence and abuse. Moldova will be reviewed by the UN Disability Committee later this year to assess their progress in implementing the CRPD. This week, MDAC and the Moldovan Institute for Human Rights (IDOM) sent information which will help the Committee prioritise areas of concern including violence against women and girls with disabilities, forcing people to live in institutions, stripping them of their autonomy, and sergregated education of disabled children.